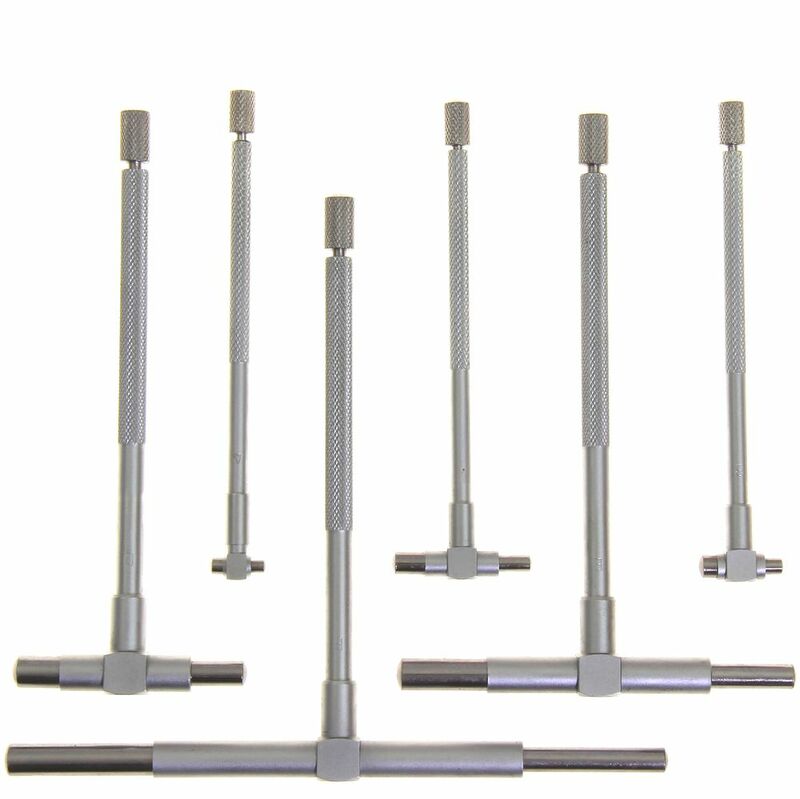 Telescoping gages are used for determining the true size of holes, slots, and recesses up to 6" (150 mm). The ends of both contacts are hardened and ground to a radius to allow proper clearance on the smallest hole the gage will enter. 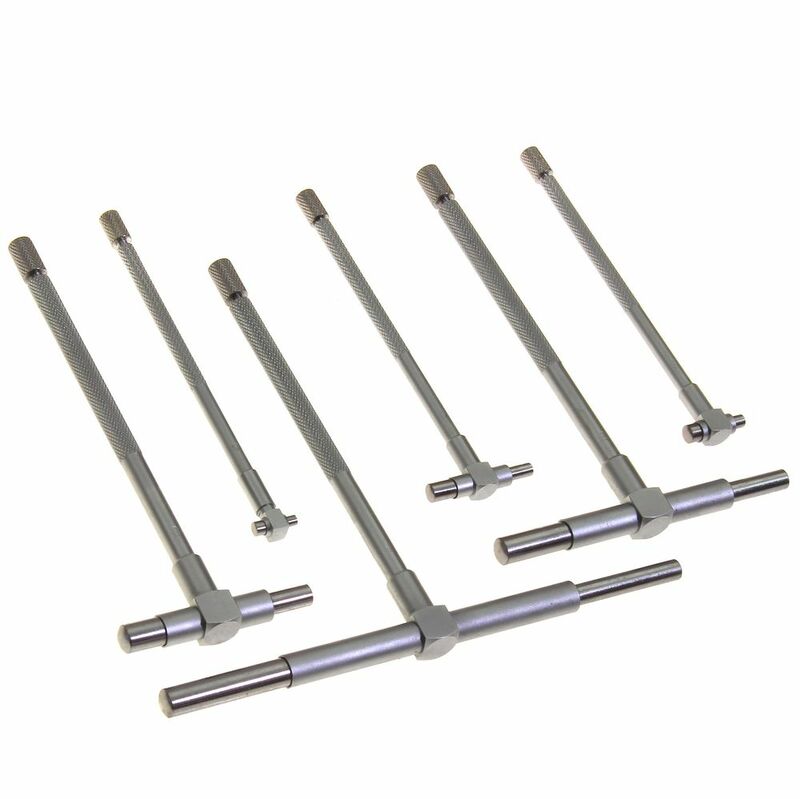 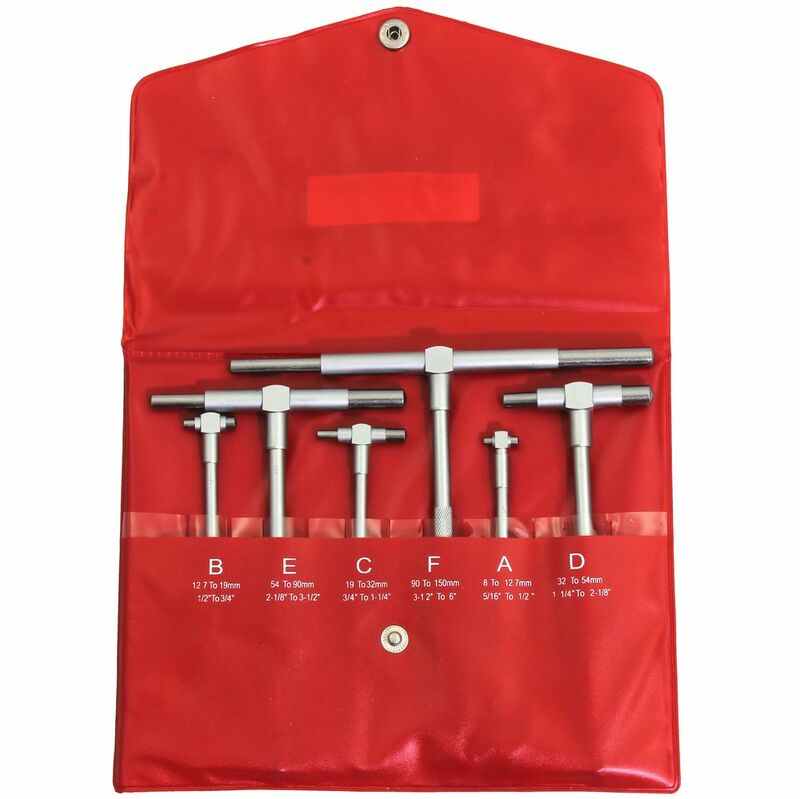 The final hole size is obtained by measuring over the gage contacts with a micrometer or calipers.